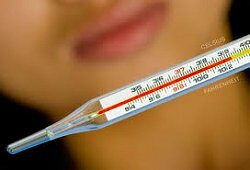 A: The thermometer says that my temperature is 39 degrees C.
B: Oh, you have a fever. You better go home. A: Does your daughter have any other symptoms ? 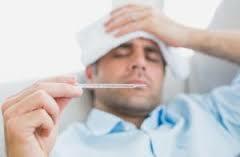 B: She has a runny nose and she is running a fever.